The Marnee & John DeVine Foundation’s 4th annual Cooking for a Cause fundraiser will be here before you know it! What’s Cooking for a Cause? Competing chefs lead a team of community leaders to bring you mouthwatering entrees in a fierce competition. Who determines the top chef of the pack? You do! Tickets are $150 per person, and all proceeds support CSSW. Taste your way through Washtenaw’s finest fares, and support the life-changing work we do here at CSSW every day! Be a part of the solution—join us! Click below to get your tickets and sponsorships today! Don’t want to wait until the last minute? Good thinking! 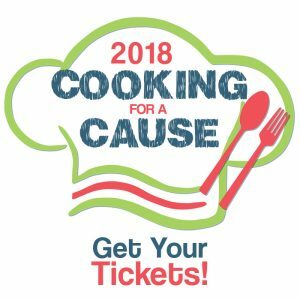 Click the link below and get your tickets for Cooking for A Cause 2018 today!